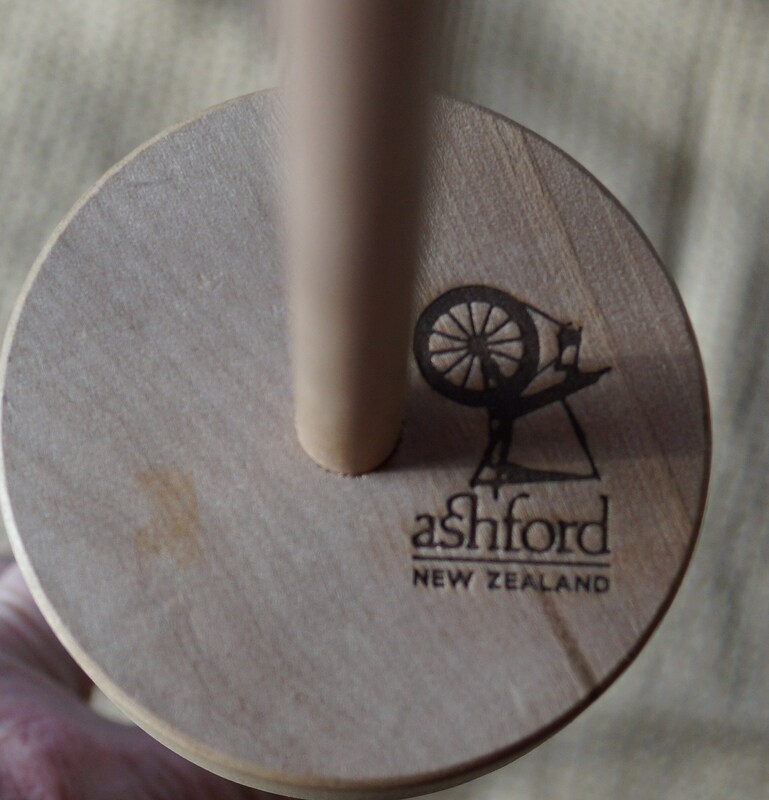 Original Ashford drop spindle. Unfinished wood. Discontinued model. Sale priced. Whorl is 1 in. thick and 3 1/4 in diameter. Length is 12 in.